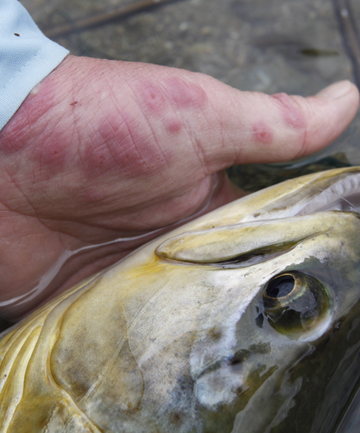 If you have ever been fortunate enough to visit New Zealand and fish for the trout for which the country has become famous, you will know all about sandflies. These little bastards are very common in the remote areas which often offer the very best fishing and they can drive you nuts. The biting sandflies consume blood for the same reason as biting midges and mosquitos – so that they can make little babies to carry inflicting misery on poor sods like us. And, again in common with the other two groups, it is only the female who consumes blood. Still, we can´t hold it against them. They are only doing their job of perpetuating their own kind and making their way in the world.